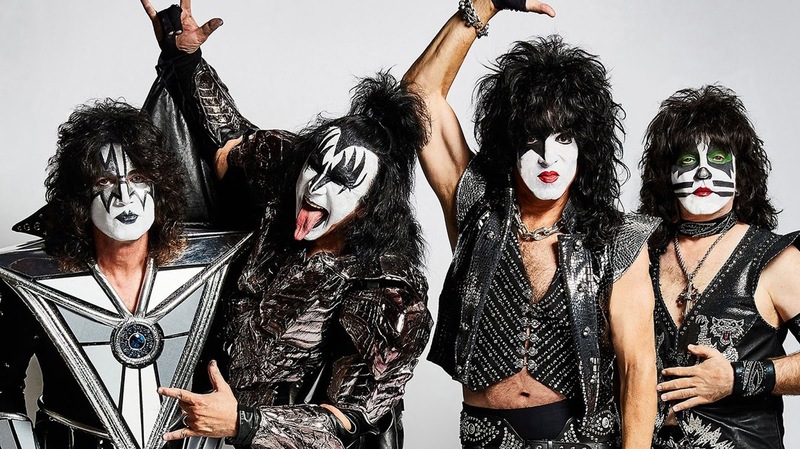 Movie Geek Feed - Movie, TV, Comic Book, and Entertainment News: Take a Backstage Tour of KISS's End of the Road Stage As It's Being Set Up! Take a Backstage Tour of KISS's End of the Road Stage As It's Being Set Up! KISS posted a 27 minute Facebook Live video of the band's massive stage being set up by crew for the first show of their End of the Road tour in Vancouver tomorrow night. The video was shot by hardworking KISS assistant Keith Leroux, who, in the 10 years I've corresponded with him, I've never truly found out his title. He does their website, social media, photography, and soooo much more. Check out the video after the jump. As Keith walked around talking to different stage hands and giving us a tour of the different areas, I couldn't help but get butterflies of excitement in my stomach. All the different pieces of the puzzle that will make up the End of the Road stage are so huge and there are so many of them. I have a good feeling this is going to be the most massive production KISS has ever surrounded themselves with. Don't miss your chance to see KISS one last time on their upcoming End of the Road tour. It will be the band's last worldwide outing and kicks off tomorrow, January 31st, in Vancouver, Canada. If you've never seen KISS live, you owe it to yourself to see the Greatest Rock Show on Earth. You can get tickets to shows right here.